Call Now For A FREE TRIAL Dance Lesson!! If most dance studios seem to have qualified, friendly teachers and experience teaching, aren’t they all pretty much the same? Does it really matter which place you decide to enroll? The answer is Yes! There are 4 main things that can make a huge difference in the quality of instruction the students receive. 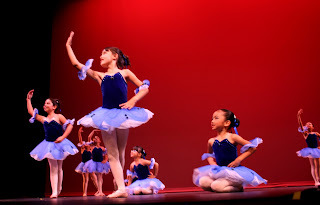 Here are 4 things that every parent should consider before deciding on a dance studio for their child. Dance is a physical activity that requires a lot of jumping, which can put stress on bones and joints. Most dance footwear does not provide any cushioning or support, so the shock of dance movement can place a lot of pressure on the knees and back of a dancer. The best way to prevent against potential injury is by choosing a studio with a professional “floating floor”. A floating floor is a dance floor that rests on a system of high-density foam, to absorb the shock of jumping. A high-density foam base is superior to a “sprung” floor, which usually consists of a wood structure built on the regular floor. Garri Dance Studio’s new state of the art location has three dance rooms with floating dance floors to reduce the risk of injury and fatigue. If the dance class has fewer students in it each student will receive more personalized attention, learn more and have more fun. With younger students it is easier for a teacher to maintain control over the class and make sure each student understands the concepts and instructions. Garri Dance Studio offers smaller class sizes to make sure that no fundamental concepts are being missed. A smaller class size also allows our teachers to ensure that students are not developing bad habits or improper technique. Garri Dance Studio limits class sizes to allow each student to receive the attention necessary to grow in their dance education. Toddler and Children’s Classes are limited to 10 children per class, Pre Teen, Teen and Adult Classes are limited to 12 students per class. We also provide assistant teachers when necessary. 4. DOES THE STUDIO OFFER MULTIPLE PRORAMS THAT RUN SIMULATNEOUSLY? In an effort to save valuable driving time for parents running to and from lessons, Garri Dance offers multiple programs that run simultaneously in dance, fitness and music. If your daughter has a dance lesson at 10am every Saturday, why not have her sibling’s music lesson take place during the same time slot or get yourself into a Pilates or group fitness class instead of reading a magazine in the lobby? Offering a multitude of classes under one roof saves valuable driving time to and from the studio each week for all of our busy families. 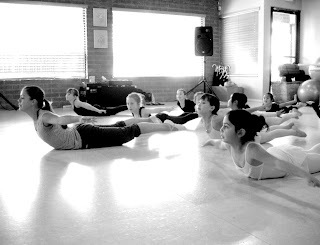 In many studios the teacher or the studio owner conducts classes and does the administration. By trying to do two jobs at once, the class may suffer as the teacher has to use class time for customer service issues, or the studio may have no customer service available if the teacher is in a class. To have a good experience it is important to choose a studio that can assist you with details like costumes or schedules, even if a teacher is occupied in a class. Our studio has office staff on hand during all regular class times, so you can get immediate assistance. We also offer shoe fittings at our studio to provide you with a one stop dance experience. Call today to set up your free trial lesson. 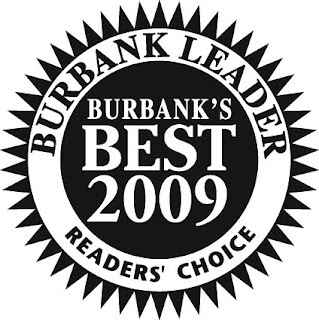 According to the Burbank Leader Reader's Choice Poll, Garri Dance Studio is the "Best Dance School" in Burbank for the third consecutive year!! We would like to thank all of our supportive Garri Dance Studio families for continuing to make GDS your first choice for dance, music and fitness lessons for over 50 years! We will do our very best to continue to bring only the best dance classes with all of your favorite dance instructors. New Yoga Workshop beginning May 9th! Burbank on Parade & Burbank Fine Arts Fest This Weekend! 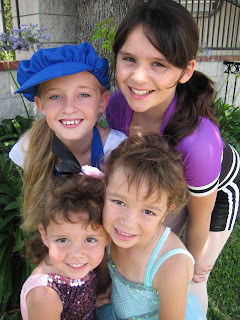 Come on out and see Garri Dance Studio at Burbank on Parade this Saturday April 25, 2009. The parade begins at 11am and runs down Olive Ave from Keystone to Olive Park. Garri Dancers wll be dresses to the nines in Hollywood style attire this weekend in spirit of the Burbank on Parade theme, Burbank Goes Hollywood! Also this weekend, Garri Dance Studio can be seen at the Burbank Fine Arts Fest which will be held in the heart of downtown Burbank on San Fernando Road from Olive to Angeleno. Garri Dance Studio will offer FREE HIP HOP Lessons this Saturday at 10:10am and Sunday at 3:00pm at the Arts Fest. We also will have a small booth available- please stop by and enter to win free prizes including dancewear, free dance and fitness tuition and more! You can find us next to the stage! Please come out and support the Arts Fest! This event is a fundrasier for Burbank Arts Education Foundation, an organization that raises funds to bring arts programs into Burbank Unified Schools. America's Best Dance Studio Contest! Vote for Garri Dance Studio! We appreciate your love and support! Keep on dancing! 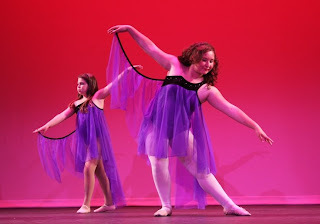 Recital Tickets available for pick up for performers only April 8-April 22! Can't wait to see you at the recital for some "Summer Fun"! June 6, 2009 2:00 & 7:00pm! 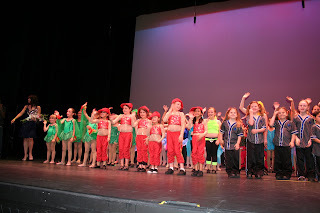 By popular demand, Garri Dance Studio's annual recital will be held at the Alex Theatre in Glendale for the second year in a row! Tickets for GDS families will be available for pick up/purchase on Wednesday April 8, 2009 at the Alex Theatre Box Office. Ticket sales will open to the public on Thursday April 23, 2009. Tickets start at $25. The theme of the show this year is "Summer Fun". We will hold two performances on June 6, 2009. The 2:00pm performance will feature our youngest dancers ages 2-6 and the evening show will feature our older students, ages 5 to adult. All of our dance numbers will have a Fun in the Sun feeling to kick off the Summer Season. Don't miss out! Get your tickets before we sell out! Happy Dancing! We Love Our GDS Students! GDS 4th Annual Student Appreciation day was a SMASH HIT at Johnny Carson Park on Sunday March 7th! 500 people were in attendance including students, family members and friends. We enjoyed our traditional In N Out Burger Cookout, face painting, balloon making, princess crown decorating and catching up with friends. DJ Uneik played some awesome music to keep us dancing to Hula Choreography lead by Miss Patty and Hip Hop by Miss Sophie. Miss Amanda was awesome playing tons of games and helping out. Also joining us was the entire GDS Teaching and Office Staff for a sunshining day at the park! Thanks to all who came out and celebrated what is another great year at Garri Dance Studio! WE LOVE OUR STUDENTS!! Garri Dance Studio Joins Facebook! Make sure and check out our new Facebook Page! We will be adding photos for you to enjoy from class, recital, student appreciation and other fun events that occur throughout the year. Friend request us so you don't miss out all the fun happenings at GDS! Garri Dance Studio is Registering NOW! Don't miss out!! 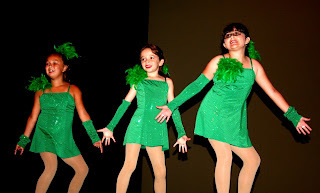 Garri Dance Studio will have open registration for classes as of Monday March 16, 2009. 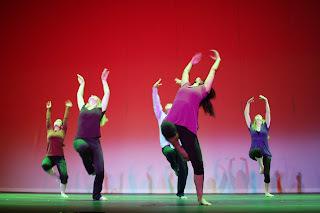 Classes include many dance styles: Ballet, Tap, Jazz, Hip Hop, Musical Theatre, Hip Hop, Pilates, Theatre and Hula. Call to schedule your free demo class (818) 846-4390 and become part of the Garri Dance family! Thank you to all who attended Student Appreciation Day 2009! We had a blast with all of you and cannot wait till next year! 4th Annual Student Appreciation Day! It's that time again. Garri Dance Studio will be holding it's 4th Annual Student Appreciation Day this Sunday, March 8, 2009 at Johnny Carson Park in Burbank. The event takes place from 12-2pm. All current students will have the pleasure of enjoying games, dancing, entertainment, food and refreshments. This is a fun filled day to come out to the park and celebrate being part of the Garri Dance Studio family! A new year, a new you! Dance your way through 2009! Thanks for visiting Burbank Dance! You will find useful stuff about dance, music & fitness here on our new blog. It is our goal to provide the best possible dance, music & fitness experience that will inspire, transform & rejuevenate your soul. If you have danced before & you miss it, if you want to get in shape without running on a treadmill or if dancing has always been something you have been yearning to do, Garri Dance Studio & Staff would like to assist you in reaching your artistic & creative goals. Garri Dance Studio is now enrolling all dance, fitness & music classes!